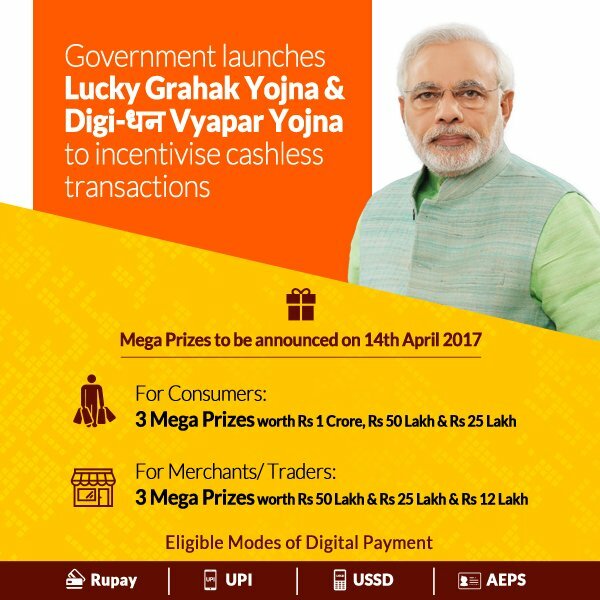 Lucky Grahak Yojana Scheme : To encourage digital payments (cashless payments), The government has announced two schemes i.e. 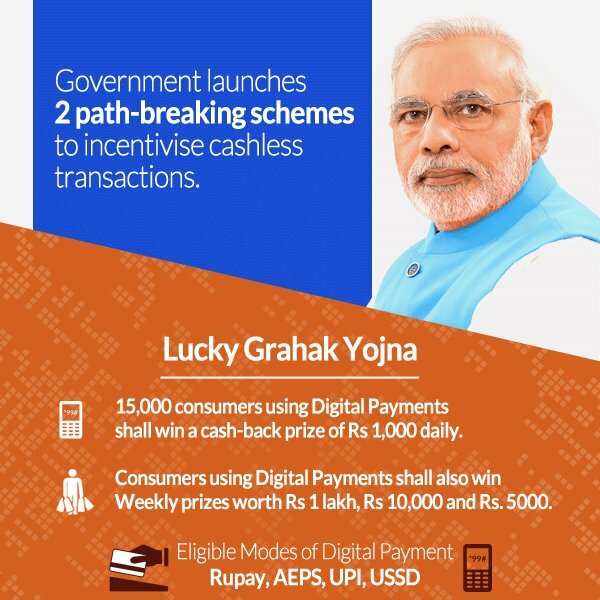 ‘Lucky Grahak Yojana’ and ‘Digi Dhan Vyapar Yojana’, for consumers and merchants. Giving details, Niti Ayog CEO Amitabh Kant said that Lucky Grahak Yojna would reward consumers through a daily, as well as a weekly. Both the schemes will cover small transactions between Rs 50 and Rs 3,000 to encourage every section of the society to move to digital payments. The scheme will become operational with the first draw on 25th December 2016 (as a Christmas gift to the nation) leading up to a Mega Draw on Babasaheb Ambedkar Jayanti on 14th April 2017. 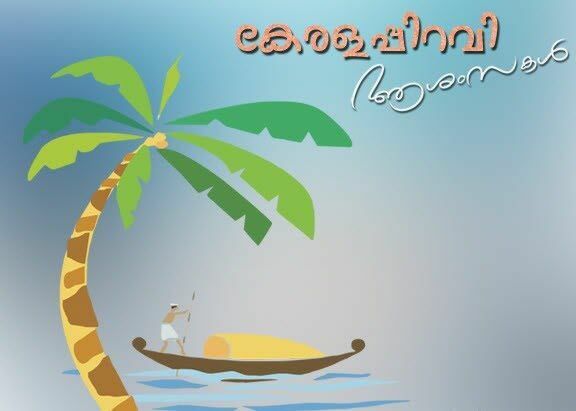 Check out the complete details of Lucky Grahak Yojana Scheme Rewards, Cash Prizes, Awards, How to participate in Lucky Grahak Yojna scheme and get other full details from the article. Lucky Grahak Yojana scheme is made for consumers. National Payment Corporation of India (NPCI) will announce 15,000 winners of Rs 1,000 each for next 100 days, starting December 25. There will be 7,000 weekly awards each for consumers and merchants. NITI Aayog highlighted that the scheme isn’t applicable for transactions done through private credit cards and e-wallets of private companies. 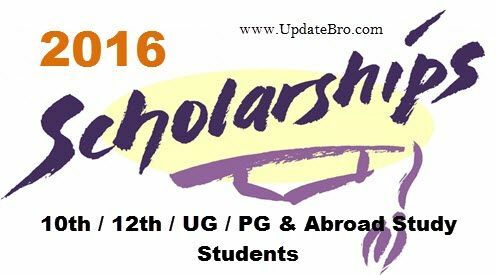 Weekly prizes worth Rs 1 lakh, Rs 10,000 and Rs. 5000 for Consumers who use the alternate modes of digital Payments. This will include all forms of transactions viz. UPI, USSD, AEPS and RuPay Cards but will, for the time being, exclude transactions through Private Credit Cards and Digital Wallets. There are no special rules, procedures to participate in this Lucky Grahak scheme, Just do the online transactions like earlier we have done. And these transactions should be done by using UPI, USSD, AEPS and RuPay Cards but will, for the time being, exclude transactions through Private Credit Cards and Digital Wallets. The winners shall be identified through a random draw of the eligible Transaction IDs [which are generated automatically as soon as the transaction is completed] by software to be specially developed by NPCI for this purpose. “A total of 15,000 winners were selected under 4 broad categories from the 8 crore digital transactions that took place between November 9, 2016 to December 21, 2016,” a statement said. 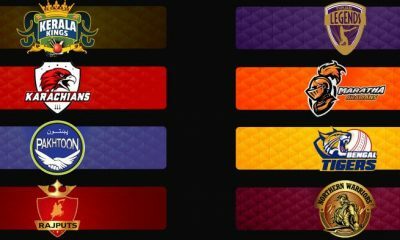 The 15,000 winners will have Rs. 1,000 in their accounts. Check out the complete list of Award Winners of Lucky Grahak Yojana Scheme from the below link. These categories include USSD (100 winners), UPI (1,500), Aadhaar Enabled Payment System (AEPS) (1,500) and RuPay (11,900). Of 125 crore people, 75 crore use credit and debit cards. Of these, 45 crore are active users. Stay tuned to this page for more updates regarding Lucky Grahak Yojana Scheme award winner names revealed on April 14th, 2017. Hope you like this Lucky Grahak Yojana Scheme Rewards, Cash Prizes, Awards, How to participate in Lucky Grahak Yojna scheme article. If you like this, then please share it with your friends. 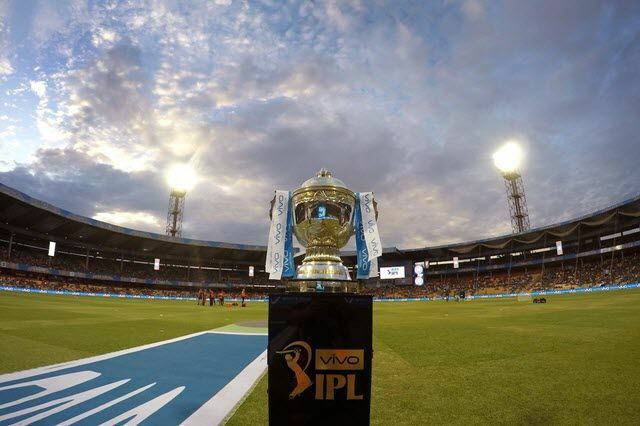 IPL 2017 Schedule | Match List | Time Table PDF Free Download. 64th National Film Awards 2017 (2016) Winners Full List PDF.